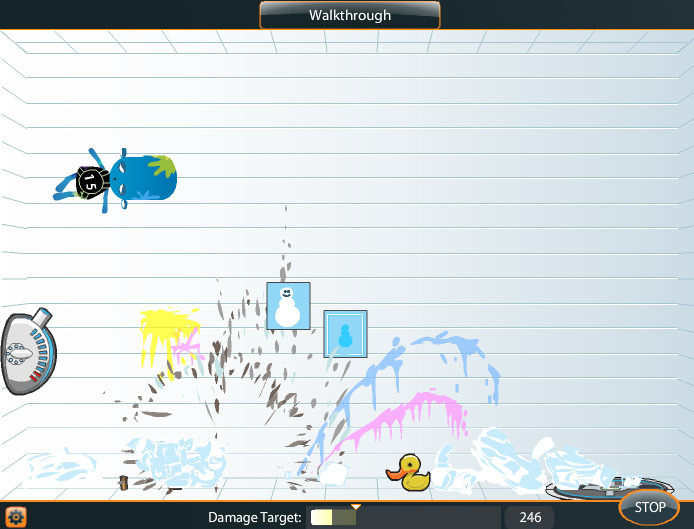 Flakboy has survived and is still surviving the mayhem and carnage that is brought down on him in the weapon testing lab, he has not yet overcome the fear for the yellow toy duck and has sustained a great deal of pain and brutality. People are starting to question whether the alien is actually enjoying the sufferings. Flakboy is providing a great purpose in testing your weapon’s performance. The 5th sequel of Flagboy game provides you with additional features, bonuses, weapon upgrades, stage set up and much more which will probably terrorize Flakboy to the extent of possibly removing his fear for the duck and instead he will fear the weapons used for testing against him. 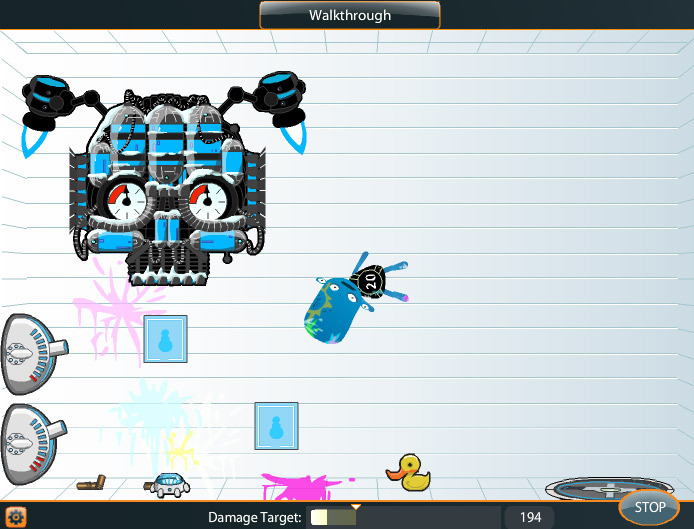 Like the previous part of the game, Flakboy 5 provides a similar experience and objective of the game while keeping the uniqueness to the features provided in each part. Flakboy 5 may be an extremely challenging game which requires a great accuracy of your strategy and timing in order to complete the game successfully. The main objective of the game is to deal a certain amount of damage or more in order to progress, this was primarily the objective of the game and must be played before any other game modes can be played, which is the normal mode. 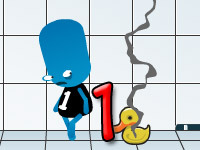 In this sequel the game has included difficulty levels which are available for players of different skills, as new players may prefer the easy mode whilst a more skillful player may require a more difficult mode to match the skill to experience the best of the game can offer. The weapons in the game are almost endless as Flakboy 5 provides a huge set of upgrades to be unlocked during progressing the levels. Apart from the new addition of game modes, the previous mode from all the other part are also available, namely, the challenge mode and the sandbox mode. The challenge has been upgraded and more additional challenges, levels and stages have been included, which can be quite challenging as each of the levels are entirely different. The objective of each of the challenges varies and depending on which the next challenges may be unlocked. The sandbox mode is available as well and this time they have included the feature of setting up the site according to what you want. 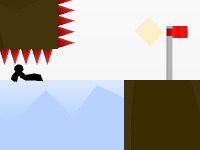 The stages in the challenge mode consisted of blocks in between the walls and ceiling, and now these blocks can be set up inside sandbox mode to practice or produce any type of challenge you may want, or provide your friends with the challenge and compete against them to see if you can win. Multiplayer Mode: Now beat Flakboy up with your friends and see who can deal the most damage, now Flakboy 5 has enabled multiplayer mode which can be played against your friends by inviting them or you can play against any random player by choosing to join a game. With the new ability to play against different players, players can also create stages of their own and play against each other’s unique creation to prove the best player in between the two. 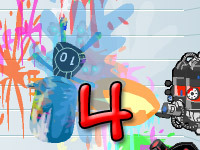 Flakboy 5 has enabled the players to share their experience and skills in the game by providing multiplayer mode, and with that in play, the players may also share achievement which was available in the previous games but could not be shared or displayed in a player’s info. Now you can display your best records, achievements, tricks and any other activity which you may have possibly done better than any other player. Unlock more illustrations, videos and animations in the gallery.